Digital marketing encompasses all efforts to reach customers in the digital landscape. It can be daunting to think about all of the devices at one time because there are smartphones, tablets, ebook readers, laptops, and desktop computers. The focus for digital sales efforts is on the many channels where customers could be found, such as social media outlets, or video hosting platforms. Though, more recently, the trend is toward greater digital integration for consumers. This will help marketers who need to be able to streamline its tools and services to manage a business’s online website, products, brands, and services. Look to digital automation tools to help efforts. For starters, there is the matter of collecting information, tracking customers and how they are finding your site and your products. Tracking who is buying against who is not is also important. Research and metrics are always a given in basic marketing. Right now, online marketing involves a lot of time, babysitting and constantly updating and grooming social media contacts and messages. Meanwhile, writing blogs a few times per week that need to be copy edited, formatted, and accompanied by images must happen too. In case you missed it, blogs that are between 1200 to 1500 words are favored by search engines these days. Meanwhile, if you are not making videos and uploading those and linking them to your social media accounts and website, your clients might be missing out on search results. Marketing requires the use of multi-media geared toward many types of devices and in different locations and communities across the web. For this reason, these days the name of the digital marketing game is digital integration. It includes search engine optimization, which is often inaccurately assumed to be the only way to reach customers. Search engine marketing is another umbrella that falls under digital marketing. It actually relies on search engine marketing in many ways, but it is not the only method of marketing. Social media optimization and social media optimization set sights on the billions of customers from all over the world who use social media sites for everything from keeping in touch with friends to finding a new, reliable heating and air professional. Content marketing and content automation, along with ebooks all round out efforts to make a good name for a company while building awareness. Of course, there are email newsletters, and also advertisements, among others. If it sounds like a hodgepodge, it is just as dizzying for all marketers too. Yet, what this is a sign of is the digital convergence that is in the process of occurring. A similar scenario occurred years ago when the personal computer became faster and memory grew by leaps and bounds while Internet speeds grew as much. People were suddenly able to watch shows online, or plug their television into the computer to watch DVDs, for instance. Now people are using as many as three different devices to access their online accounts. They have a smartphone, a computer at work, and their favorite tablet they like to use at night too. Maybe they like to jump on their social media account to play a game at night, to check their friends’ statuses during the day at work, and on their phone at lunch time. 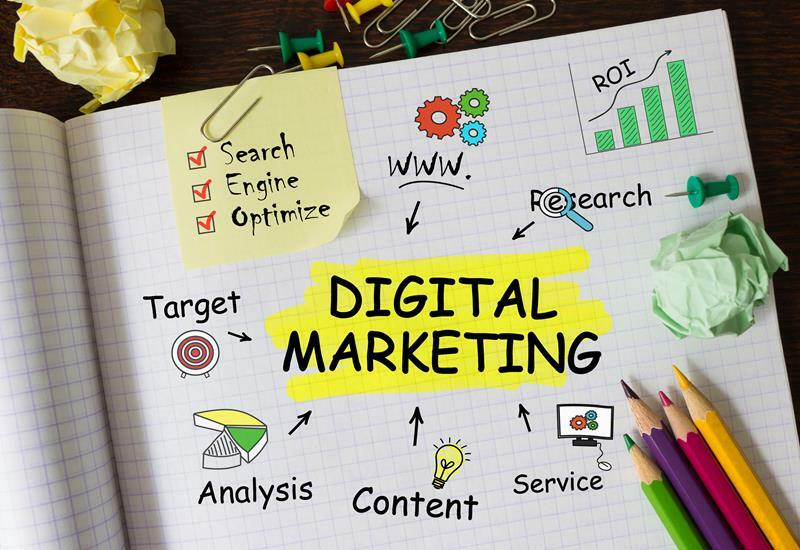 Digital marketing involves reaching consumers on any of these different accounts or devices to sell products and services. Digital marketing is so big that it has grown to more 4.5 trillion online advertisements. It is important to note that all the separate digital channels to reach customers are evaluated separately. While a company needs to have a set of goals for its marketing efforts, every channel will require different tools to make a strategy to meet company goals. Track consumer purchase behavior to learn what is working with customers. Track their device usage to alert your team whether your customers what devices they use regularly versus the one device they used to purchase products or services from your company. This is a sample of what it means to be integrated digitally. Just a few years ago, the different devices were so separate that it was more akin to separate buildings. Now it is like having bridges connecting those different buildings, or devices, together. When Will It Be Just “Marketing”? With the newspaper press becoming something of a novelty relic, at what point does the Digital Marketing term get lobbed off and just assimilated and assumed in the term marketing? The underlying message in this thinking is that the focus should be on performing marketing to maximize efforts. Most businesses are attempting to do just this though it poses challenges. It is a lot of information to digest and analyze. Though, it all comes down to the company’s goals, knowing its customers, and knowing how to reach them. Where opportunities to reach or serve new customer demographics come into play is a relevant one. Though, most companies need to focus on what already works and ensuring that they are attracting their customer base. Great, so people are tethered to social media instead of their televisions these days. That’s excellent, because the social media platforms are all excellent ways to reach people through advertising. The social media platforms, particularly Twitter, and its Vine brand, and Facebook and its stand-alone giant, Instagram, all know how to target their audience for you. They have tips and tutorials on how the parameters of their ads how they will appear, and how effective they are. See, now it is coming back to something you know well — creative concepts to reach your customers. Creating memorable branding to reach your target audience is possible in these landscapes. Writing blogs and making videos that are engaging allow your brand to take on multiple dimensions. It is not as scary as when you first started reading, now is it? Continue being open to learning and keep abreast of marketing best practices for this brand new world to keep your brand relevant.